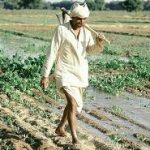 Problems with the Indian Plant Varieties Regime (V): Farmers’ Rights – A Myth or Reality (I)? We’re pleased to bring to you the fifth post in the ongoing series of insightful posts by Prof. (Dr.) N.S. Gopalakrishnan on problems with India’s plant varieties’ regime. The earlier posts in the series can be viewed here. 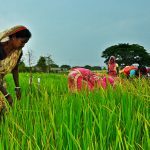 Farmers’ Rights – A Myth or Reality (I)? One of the significant contributions of the Protection of Plant Varieties and Farmers’ Rights Act, 2001 is the Chapter on Farmers’ Rights. It is intended to comprehensively address simultaneous promotion and sustenance of informal innovation in agriculture along with formal modern breeding. Hence, the farmers’ rights in the Act include: (a) the right to register new and existing varieties bred, evolved and developed by farmers; (b) benefit sharing, recognition and award for the farmers and communities considering their contribution towards the evolution, conservation and improvement of farmers’ varieties which are used for breeding new varieties; (c) the right to save, use, sow, resow, exchange, share or sell farm produce including seeds of new varieties; (d) compensation from the breeder of new variety for failure of the performance of the new variety; (e) protection from innocent infringement; (f) authorization in case of use for breeding essentially derived variety from farmers’ variety; (g) exemption from all kinds of statutory fees; (h) creation of Gene Fund and its utilization; and (i) obligation of the breeder to disclose the information regarding the use of genetic material conserved by the tribal or rural families in breeding of new varieties. 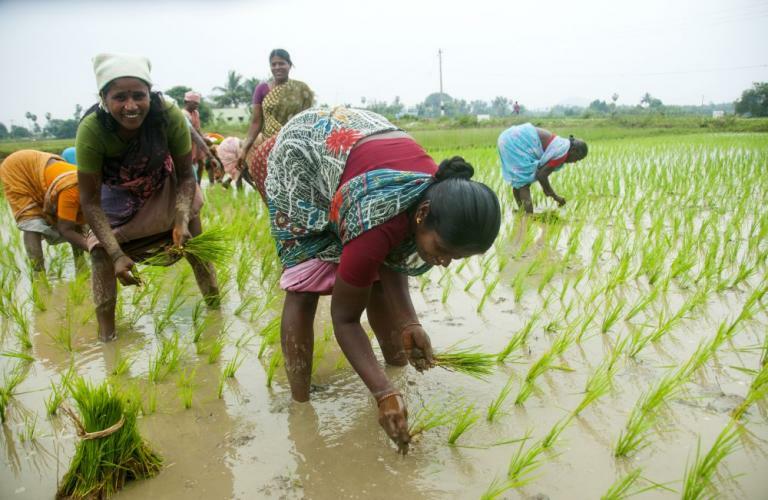 Thus, farmers’ rights in India are far beyond the limited protection of farmers envisaged in the international instruments of UPOV and ITPGRFA of FAO. It is to be noted that as per Article 15(2) of the UPOV (1991), the obligation of member states to provide for a farmers’ right is optional and is confined to the right to save and use of the propagating materials in their own holdings. Similarly, according to Article 9 of ITPGRFA (2001), farmers’ rights are confined to the right to “save, use, exchange and sell the farm-saved seeds/propagating materials” and right to protect traditional knowledge and sharing of benefits arising from the utilization of plant genetic materials for food and agriculture. In addition, Article 13(3) of ITPGRFA also envisages benefit sharing from the Multilateral System to the farmers, especially from developing countries, to promote conservation and sustainable use of traditional varieties. The attempt here is to highlight the practical problems faced by the farmers in enjoying farmers’ rights as envisaged in the PV Act and the lackadaisical efforts made by the Authority in implementing some of its obligations. 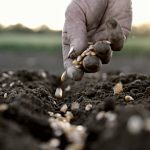 An analysis of the implications of conferring intellectual property rights to new and existing farmers’ variety is discussed in Part – I of this post and the practicality of implementing other economic benefits such as benefit sharing, recognition and compensation etc., is dealt with in Part – II. Farmers’ varieties, whether existing or newly bred, are the outcome of traditional methods of natural breeding followed by the farming communities, which involve skill, effort, patience of careful observation, selection, saving, sowing and re-sowing of seeds, sharing the seeds for cultivation etc. These breeding methods are often termed as “collective breeding” and have prompted many to argue that farmers’ varieties belong to the communities/groups rather than to individual farmers. This is indicative of the traditional names associated with farmers’ varieties. Even if an individual farmer is responsible for evolving a variety and it is known in his/her name, the sharing, conservation and promotion of the variety has been considered as a collective responsibility of the community. These practices have resulted in treatment of the farmers’ varieties as collective property of the communities. Hence, at the time of enactment of the Act, there were powerful arguments made in favour of considering farmers’ rights as “community rights”. However, it appears the Parliament has departed from this traditional community notion of farmers’ varieties and recognized both individual and group rights for existing and newly bred farmers’ varieties. In this context, it is to be noted that the village and tribal communities in India have been substantially influenced by the perils of individualism, which is changing their traditional way of life and this seems to have significantly swayed the policy making. This is evident from the right of the farmer to register his/her new variety under section 39(1)(i) (hereinafter termed as “new farmers’ variety”) and the right of farmer, group of farmers and community of farmers to register the existing farmers’ variety under section 39(1)(ii). The attempt is to examine the problems that the farmers confront in their earnest efforts to enjoy the exclusive IP rights promised by the Parliament by registering both these categories of farmers’ varieties. The problems that are faced by a farmer in protecting the “new farmers’ variety” developed by her/him include (a) compliance with the formalities for registration; (b) payment of statutory and other fees; and (c) enjoyment of the IP rights. According to section 39(1)(i) of the Act, a farmer who bred or developed a “new farmers’ variety” is entitled to protection similar to that available to a breeder of a new variety under the Act. This presupposes that for registration of a “new farmers’ variety” under section 14(a) read with sections 15(1) of the Act, a farmer is expected to follow the same registration procedure as that prescribed for a new variety developed following formal breeding techniques. Hence, a farmer is also under an obligation to provide all information sought in Form 1 of the application for registration of new variety including technical details as per the “Technical Questionnaire” for determination of the criteria of DUS. In practice, this is possible only if a “new farmers’ variety” is tested both at the lab and field by a modern breeder and the technical details are found out. Needless to reiterate, a farmer develops a “new farmers’ variety” using informal breeding methods. This means that the outcome of informal breeding based on genetic variability (phenotype) has to be scientifically validated by modern scientists based on DUS standards set by the Authority on the basis of genetic makeup. Leave alone the problems of finding out the technical details as prescribed by the Act, it is anyone’s guess that this is not going to work in reality. Further, as per the Act, the farmer is also bound to pay all statutory fees for registering his “new farmers’ variety” which as of now include, a registration fee of Rupees 7,000 along with a DUS test fee of maximum Rupees 2 lakhs (both mandatory) depending on crops prescribed by the Authority. In addition, an onsite DUS test fee of a maximum of 8 lakhs depending upon the crops, if required, must also to be paid. Thus, it is clear that the fee is different for different types of crops. To illustrate, for rice, which does not require an onsite DUS test, the fee is Rupees 37,000 [7,000 + 30,000 (DUS)] and for black pepper, which requires an onsite DUS test, the fee is Rupees 1,12,000 [7,000 + 45,000 (DUS) + 60,000 (onsite DUS)]. This is in addition to a professional fee of Rupees 25,000 to 50,000 charged by a reasonably good law firm whose assistance is needed to complete the registration procedure. It is also to be noted that once the registration is over, the farmer has to pay an annual fee of “Rupees 2000 plus 0.2 per cent of the sales value of the seeds of the registered variety during the previous year plus 1 percent of royalty, if any, received during the previous year from the sale proceed of seeds of a registered variety”. The farmer must also keep in mind that the first registration is valid only for nine years for trees and vines and six years for other crops and there after she/he has to pay Rupees 7,000 as renewal fee. Hence, it is safe to conclude that as of now a farmer who has developed a “new farmers’ variety” has to spend an estimated amount of about Rupees 2 to 3 lakhs to get the variety registered and maintain it till the end of the registration period. It is a foregone conclusion that no ordinary farmer (small and medium) can afford this. Furthermore, according to the Act, the incentive for a farmer to register a “new farmers’ variety” is the exclusive right “to produce, sell, market, distribute, import or export the variety” for a period of fifteen or eighteen years, as the case may be. It is important to examine whether the farmer breeder would enjoy considerable economic returns from this exclusive right and thereby, from the registration of a “new farmer’ variety”. Unlike the hybrid varieties bred using modern technology, the “new farmers’ variety” is based on traditional breeding and the outcome is a “typical” variety which could be replicated by saving the seeds from the farm produce. 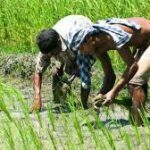 Hence, once it is released to the farmers for cultivation, it is possible for the farmers to save the seeds from their farm produce for the next season and not return to the registered farmer for them each season. In this context it is important to note that as per section 39(1)(iv) of the Act, all farmers cultivating a registered new variety have the right to “save, use, sow, resow, exchange, share or sell farm produce including seeds” except the branded seeds. Hence, the economic incentive for the farmer who registers his “new farmers’ variety” spending a lot of money is very limited. This is not the case with modern breeders, particularly from the private sector, who use modern technology (eg., F1 Hybrid) and ensure that the farmers come back to them for seeds every season. This is an important limitation in extending formal IP rights as an incentive to promote the continued practice of traditional breeding. This means that the present approach of treating the “new farmers’ variety”, bred by the farmer using informal breeding, similar to a variety bred using formal breeding for protection would not provide much economic return to the farmers. An examination of the Annual Reports of the Authority from 2008 to 2017 show that only six applications were received for registration of “new farmers’ variety” (one each in 2012-13; 2013-14 and 2014-15 and three in 2015-16) but no information is available regarding issue of registration certificates to these applicants. It is extremely difficult to find out the details of these applications from the list of status of applications or list of certificates issued by the Authority. It appears that the Parliament made a bad judgment in treating “new farmers’ variety”, based on informal breeding, equivalent to a variety bred using formal breeding. If the intention of the Parliament was to simultaneously promote informal breeding by farming communities, there is an urgent need to prescribe different parameters for testing and registration of the “new farmers’ varieties” bred by the farmers using informal breeding. The fees must also be revised to make the registration more pocket friendly for the poor farmers. There is also a need to revisit the approach of conferring of formal IP rights as an incentive to breed these varieties. There are also problems with the enjoyment of formal IP rights by the farmers who have registered their farmers’ varieties under section 39(1)(ii) read with section 14(c) of the Act. Here also, departing from the traditional notion of collective breeding, the Act recognizes both individual and community of farmers to separately file application for protection of existing varieties. As per section 24(6)(iii) read with section 28(1) of the Act, the registrant of a farmers’ variety will also enjoy the exclusive right to “produce, sell, market, distribute, import or export the variety” for a period of fifteen years from the date of registration of the variety. Since the registered farmers’ varieties are “typical” varieties developed by the farmers, the seeds of these varieties are already in the hands of farmers cultivating the same and they need not again approach the registered owners for seeds for the next season and make any payments to them. As mentioned earlier, due to section 39(1)(iv), the farmer who is already cultivating the farmers’ variety has the right to save the seeds and resow them without seeking permission from and paying any amount to the registered owners. 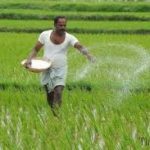 Hence, it appears that the right and the duration of protection is practically of no value and is not going to bring any economic benefit to the registered owners of a farmers’ variety. The only reason behind the farmers showing unprecedented enthusiasm to register farmers’ varieties (11420 applications and 1550 registrations) seems to be the free of cost registration assured by the Parliament and religiously implemented by the Authority. The large number of awareness activities (1135 till 2016-17) initiated by the Authority in the last decade for the farmers on the economic benefits promised by the Parliament also seem to have influenced them to register their traditional varieties. One wonders whether this is what the Parliament conceived when the farmers were conferred with the right to register their traditional varieties. The formal IP rights conferred to the farmer for the “new farmers’ variety” and traditional farmers’ variety has proved to be of very little incentive for promotion and sustenance of traditional breeding practices by the farming communities. Limited but systematic empirical research carried out after the introduction of PV Act concluded that farmers still prefer to continue with the sharing practices and that modern IP is not an incentive to promote traditional innovation and in situ conservation of farmers’ variety (Mrinalini Kochupillai, 2016). It is true that, as suggested in the study, additional evidence is required to conclude the negative impact of extending formal IP protection to promote informal breeding. However, the available evidence indicates that the earlier the Parliament revisits its present approach the better it would be for preservation and promotion of an informal breeding culture which has proved central to sustainable agriculture and food security in India. 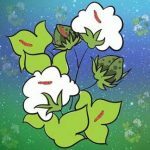 Problems with the Indian Plant Varieties Regime (IV): Obliterating the “Farmers’ Variety” (Part I)? Problems with the Indian Plant Varieties Regime (IV): Obliterating the “Farmers’ Variety” (Part III)? Problems with the Indian Plant Varieties Regime (III): Setting Arbitrary DUS Standards For Extant Varieties? Problems with the Indian Plant Variety Regime: Old Vine in Newly “Enclosed” Bottle?